Dotcomclub offers continuity and structure so that you are no longer vulnerable to the loss of important technical information. Practice and game registration is quick and efficient. Your entered data is accessible at all times, even directly from the field! Always be one step ahead of the completion. 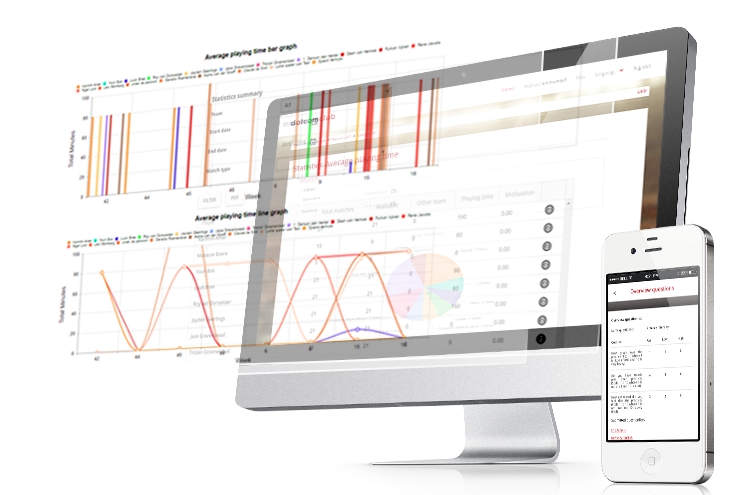 Monitor your players, practices and games in the Statistics section, analyze and anticipate. 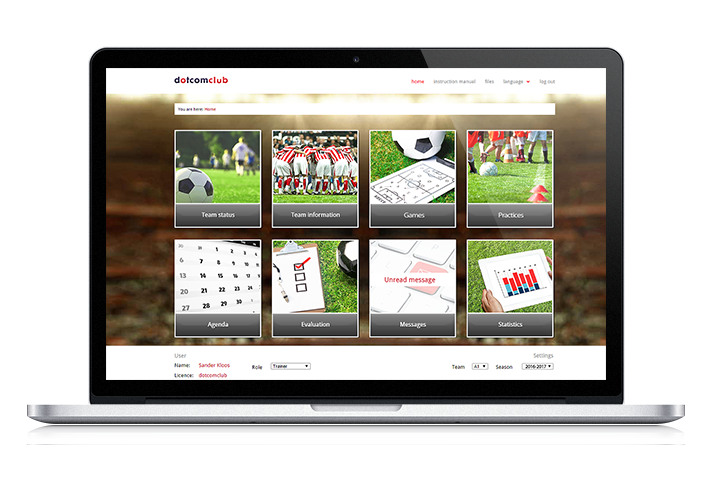 Discover the most intuitive player development system for the soccer world! Dotcomclub is the complete solution for your soccer organization, created by and for coaches, coordinators and technical directors of various soccer organizations. Dotcomclub is the ultimate Player Development System developed in the Netherlands. Coordinate your players and staff members, plan your games, practices, evaluations and record every detail during the game! Scout players, upload your videos and tag them using video analysis, add your own drills to the existing drill library and keep everyone within your club up to date with the built-in messaging system. With Dotcomclub your staff members are fully supported! With the Player Development System, you are only one click away of having a complete perspective of your organization. 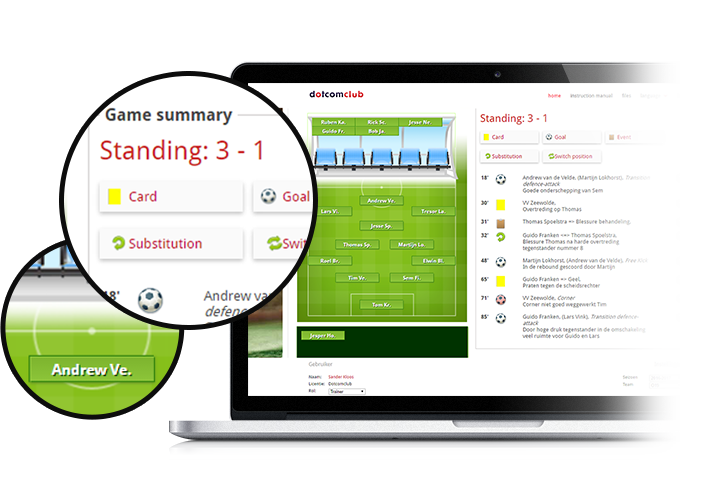 Clear graphical overviews provide direct insight into what is happening within your club. Relevant data is easy to find and instantly translatable to your organization. No complicated registration process, no hassle! 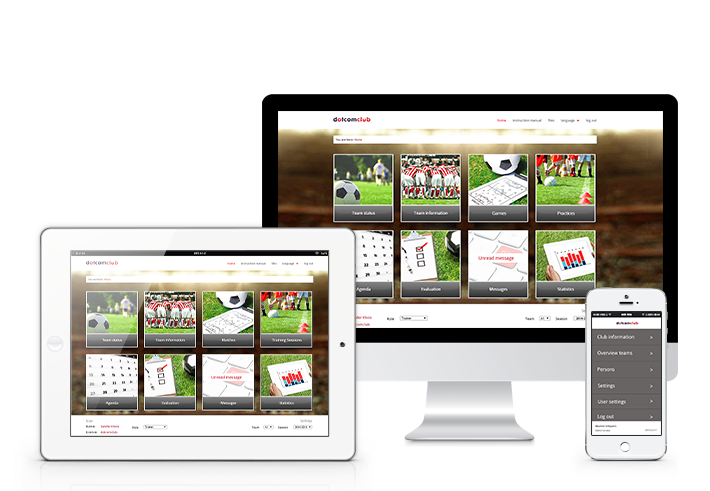 Our Player Development System offers many possibilities and is easily accessible from your desktop PC, Tablet or Smartphone. Practice and game registration is quick, efficient and accessible at all times, even directly from the field! Dotcomclub is multilingual and can therefore be deployed more broadly within your club, both nationally and internationally. In the Player Development System, all your staff members and players work in the same application. Each role within the organization has its own place with the relevant information. Curious about the different possibilities with the roles?  We have highlighted a number of roles for you below. Insight into the entire (youth) organization. Practice and game information at your fingertips! Injuries and treatment plans in a clear overview. Analyze your own videos and tag using Dotcomclub. Register scouted players and create reports. Always insight into their own soccer career.